Contemporary cherry desk with cherry veneers. This desk is a spin on a traditional 19th century fire screen desk that Bruce made for a show at a historic home in Portsmouth, New Hampshire. 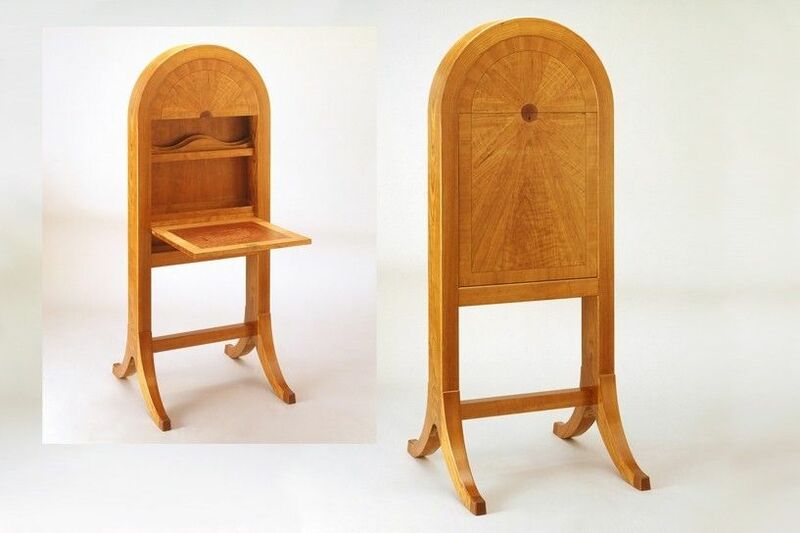 The show included other furniture and craft inspired by the home's Georgian architecture, which included a large Palladian window which was the inspiration for the arch topped shape of the desk.